The DMS has extensive experience in data capture for the purpose of reverse engineering objects - from car door panels and mining equipment to entire aircraft. 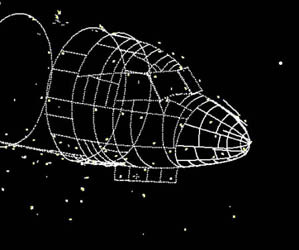 Reverse engineering involves capturing surface data on an existing object and then digitally recreating it as a 3D Computer Aided Design (CAD) model. Depending on the object size and the amount of surface data to be captured, we will employ one of several measurement technologies including Laser Scanners, Laser Trackers and Photogrammetry.